"Make your customers happy with this"
Something I really like about this software is that it keeps your user engaged. They can get support instantly or can issue ticket. The thing that I dont like is that Rhino support is slightly expensive and compared to having a customized chat bot in your site. Also there are other companies who do this for cheap. I would recommend this software if you dont want to spend too much time and resources on creating a similar tool on your own. The biggest problem that I think that this software is solving is that its taking the load off from our customer service team which I is turning out to be economical and time saving. "simply the fastest support tool for your customers." Very easy to use, user friendly, live chat keeps one directly in contact with your clients it ensures real time customer support you reply to customers instantly which is very attractive for clients. The demo offers great risk free experience for learning and testing before purchase. Customer self-service portal makes it simple and fast to avoid repetition of a single question by many customers. Its quite expensive for small scale users but great for large-scale facilities. Its a simple way to turn your support team to a real time support team making it easy to easy to continually offer instant support for your customers. Live chat with customers has made our support team more useful and have made it easy to retain customers and attract new ones. 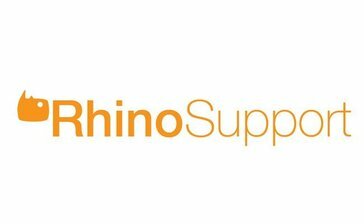 "Rhino Support is a one of the best web-based on help desk software"
The best thing about this software is it manages to view ticket messaging by hovering, and very fast and efficiently to using by managing one-click ticket management system. That is easy to add new support agents, create and updating of company details. "Easy to use but some issues"
Easy to use and easy to train employees to use. I like that I can insert pre-written responses and the knowledgebase feature. The search is horrible. If I need to find a previous email from a customer, I have to know their email address. Searching by name and keywords rarely works. I don't always have the email as I remember talking to a customer about an issue but don't know their name, etc. So I have to go through every single closed ticket to find the issue. It is so bad that I've thought of switching solely for this reason. Have a way for employees to check email when I'm not in the office. "Rhino support 5 star review"
I have run their support software for years without ever an issue. Simple to setup and manage my customer support requests. Haven't found anything to dislike. it works great. Give me a one stop point of entry for customer requests. customers love it. Extremely easy to use along with being easy to train others on. Everything was pretty self explanatory. Had some problems searching by a key word. This made me back track to gather info for a specific customer. Especially if it was on a previous ticket. Live chat has been great for many of the other employees. It allowed for things to move faster. "Easy to Use Live Chat"
They just created a mobile app so that I can answer chats no matter where I am! 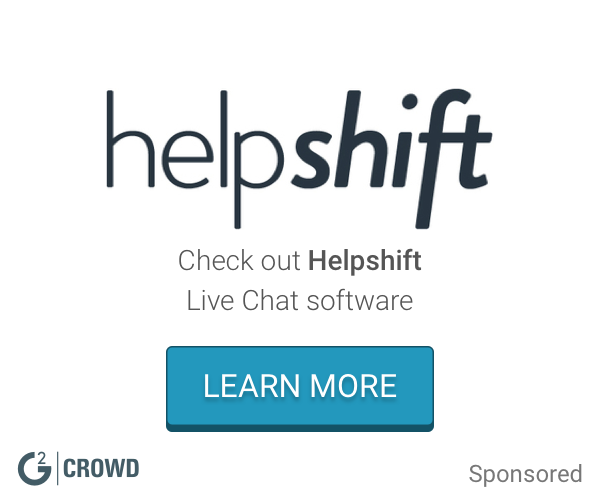 I like everything I've used so far - including the help desk software that is included for free with the live chat. Now I can answer questions before people leave my site. Overall very useable and easy to get accustomed to using. I've used others similar and found this to be most user friendly. * We monitor all Rhino Support reviews to prevent fraudulent reviews and keep review quality high. We do not post reviews by company employees or direct competitors. Validated reviews require the user to submit a screenshot of the product containing their user ID, in order to verify a user is an actual user of the product. Hi there! Are you looking to implement a solution like Rhino Support?